I completely realize that in writing this story, some may decide to hate me for my opinion and that's completely ok, I never want to see the 'right to hate' taken away in America. But let's see if you can argue with the facts. 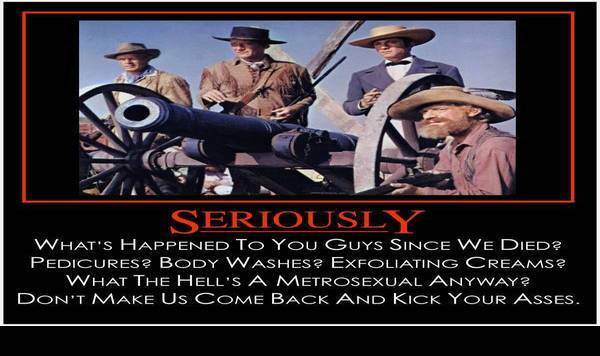 While Susan Duclos usually writes stories of this nature on ANP, I had to 'wade into the muck' following the release of Gillette's latest advertisment, an ad which some have warned will be the death blow to the company and an ad that may have just spawned 10 million beards all across America as the American man revolts against their despicable depiction of 'manhood' as 'toxic masculinity'. With Gillette's new ad alienating at least 50% of their customer base, as Piers Morgan recently penned in this article over at the Daily Mail, Gillette may have just quite literally 'cut their own throat' by joining the insane leftist agenda. If you haven't yet seen the ad in question, we've embedded as the first video below for you to peruse. WARNING: Have your 'barf bag' ready. And while we're still waiting for the sad sacks at Gillette to 'bleed out' for making such a stupid business decision, another 'GET WOKE' and 'GO BROKE' politically correct company alienating their own base, as we'll see within this ANP story, at a time when most leftists are hating upon men, what America really needs is MORE men in homes, schools and communities helping to raise their children and providing them with lasting American/Christian values as heard in the 2nd video below. As Ben Shapiro points out in this must-read story over at the National Review, the stats do not lie. Most young children today being raised by only one person are being raised by a women, whether via in the homes, schools or communities, with a large majority of school teachers being women as well as a huge percentage of social workers. And while we'll never criticize the absolutely amazing job of raising children that most women do, much of the last decade has brought 'radical feminist women' raising children, sometimes with their radical feminist 'wives', and they, like many universities all across America, have been indoctrinating these children into their radical ideas including the hatred of everything 'male'. And Steve Quayle actually coined a new phrase for these 'man haters' as he mentioned in a recent SQnote while linking to this story, what we're witnessing is nothing less than the ravings of the radical, man-hating "femalasaurus". Today, according to the U.S. Census Bureau, 23 percent of American children live with a single mother. That percentage has tripled since 1960. As of 2012, 55 percent of black children and 31 percent of Hispanic children lived with one parent, predominantly the mother. And Gillette's wade into the insanity of the leftist agenda of hatred towards men is actually backed by the American Psychological Association which has determined that 'traditional masculinity' is harmful according to new guidelines, claiming that 'macho culture' fuels homophobia, and 'limits' men, yet the left pushes 'soy boys' and 'beta males' as the 'ideal man'. As Steve Quayle asked in an SQnote while linking to this Wall Street Journal story on Gillette's new ad, "What's next, asking men to castrate themselves?" With the direction that we've long been heading, with the left surely outlawing 'manhood' if they could do so, Steve's question really isn't out of the realm of possibility. 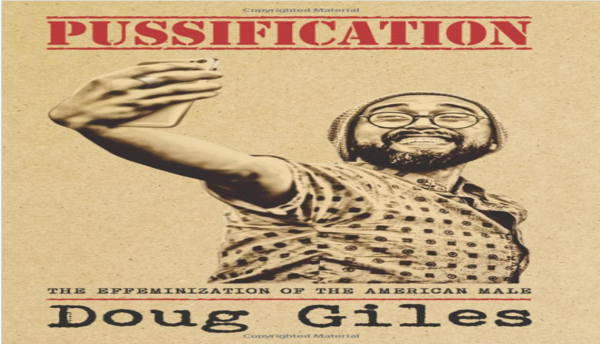 As this book by Doug Giles called "Pussification: The Effeminization of the American Male" argues, political correctness has absolutely undermined the fabric of our country, transforming America with our younger generation of males systematically emasculated while the 'pussification' of men is glorified by the left as if being a 'beta male soy boy' is something that 'REAL' men should strive for but as Giles points out, 'REAL' men know much better and as US Navy Veteran John C. Velisek pointed out in this recent ANP story, REAL Americans are not going to fall for the progressive socialist agenda. And as we see in this new story over at the Gateway Pundit, the entire radical leftist agenda is creating havoc in different ways all across America. While members of this movement are a very, very small minority, the shouting and yelling and outright chaos they cause with their hissy fits have been causing disruption and headaches wherever they go. As this Gateway Pundit story reports, the annual hacker conference in Louisville called 'Derby Con' will no longer be happening due to freakouts being thrown by the radical leftists that had nothing to do with 'hacking'. The organizers of the popular Louisville tech conference DerbyCon have announced that 2019 will be the final year they will hold the event — due to social justice warriors ruining everything fun, as usual. Over the past couple of years, there have been a number of incidents in which authoritarian social justice warriors and members of the left disrupted tech conferences to go after people with differing political views — despite the fact that politics has little to do with these events. According to this new story over at CBN News, the leftist agenda is causing havoc all across America and particularly now on college campuses where young minds are being completely indoctrinated into the left's socialist/communist agenda. Reporting that startled parents are being shocked as their young daughters return home from school with their breasts removed while they're growing mustaches, Susan Duclos recently pointed out that the left's insane agenda of taking down men also includes the women on the left becoming more manly. And as we've previously reported on ANP, their entire agenda is also part of the globalists 'depopulation agenda' with effeminate men and masculine women much less likely to produce children. And just as we'd reported on ANP back on December 28th, we're seeing the results of that already with birth rates in the US dropping to record lows at a time when the United Nations and other globalist groups are openly talking about population replacement strategies. So let's take one more look at Shapiro's story over at the National Review and his warning that we need MORE masculinity, not less, and a recent study from Stanford and Harvard Universities and the US Census Bureau. 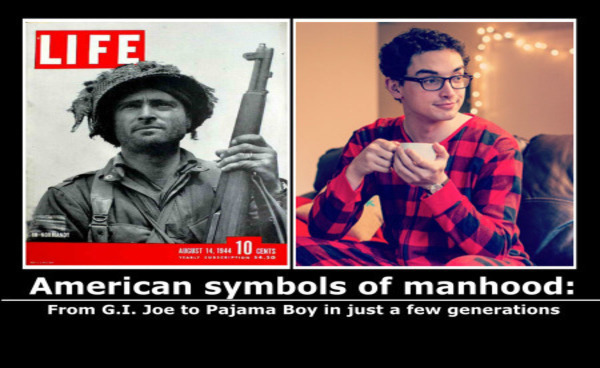 In a society where masculinity is made the enemy we're seeing the mass pussification of the American male. What results is low testosterone and a generation of males who are hardly discernible from women. This wave of "Soy Boys" and "snowflakes" is one of the leading causes of disease and depression in men ... and more importantly, millions of disappointed women who are dying to meet A REAL MAN. 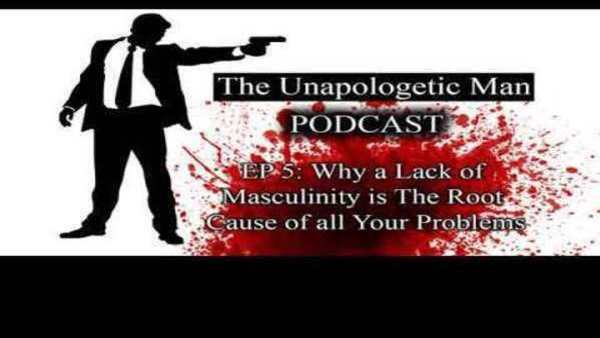 This might be the most important podcast we ever record because masculinity — or lack thereof — is the root cause of most guys' problems. And to top it all off with good humor and showing us the way that 'the left' is going, as Susan Duclos just mentioned to me when I told her about this new Daily Mail story reporting that leftist women are now angry at Gillette for their pink razors being marketed towards women called 'Venus', if Gillette's problems with men aren't bad enough following their disastrous viral commercial, the left continues to eat their own with those who Gillette hoped to 'placate' revolting against them as well. In the 3rd and final video below from Infowars, Alex Jones explain how this all-out war upon manhood coincides with the globalists goals of taking down free people and depopulating our planet, reminding us that in many wars throughout history, the men are slaughtered, leaving the women and children helpless against their enemies. So with Gillette attempting to impose the leftists draconian agenda upon Americans, there's never been a better time than now to let that facial hair grow. But for those who still must cut their beards regularly for work or home, throwing away your Gillette razors and joining the Dollar Shave Club, a company which immediately took advantage of Gillette's gaffe to welcome new members to the club, might just be your best bet.